I've been following Jim Chapman for quite some time now over on his YouTube channel and had been following the hype surrounding the release of his book. So can you imagine my surprise when I was sent a signed copy...that's right signed! 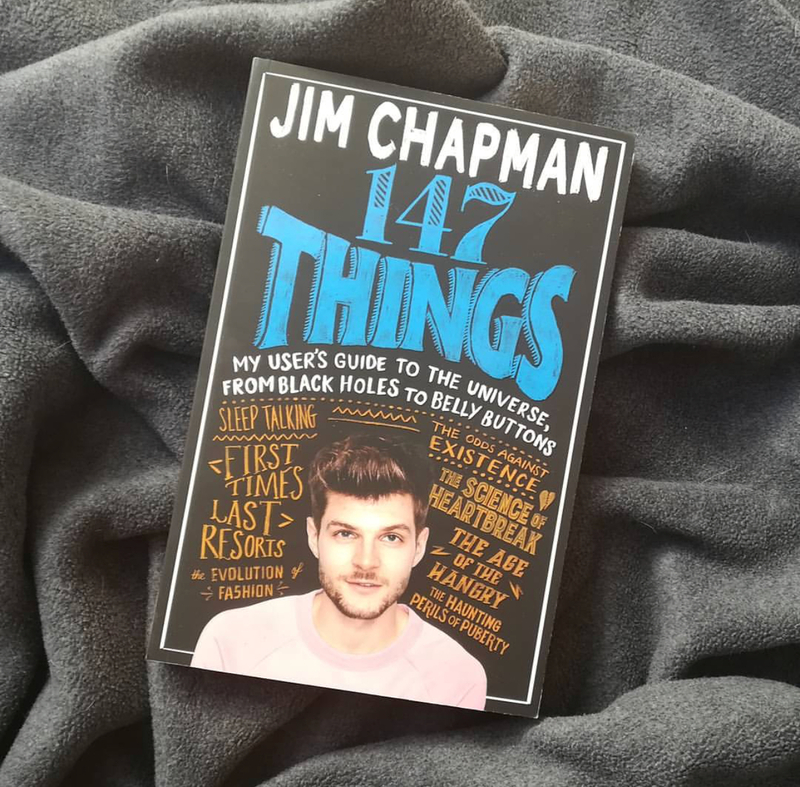 I usually get a bit miffed that YouTubers can just publish a book without necessarily having the talent, but Jim Chapman genuinely has the talent! The book contains 147 facts or "things" as Jim refers to them as. If you're someone who's not that into facts I'm sure you'll still love this book. Don't assume it's a boring read. It's actually written in a very chatty, down to earth way and includes lots of Jim's personal stories which were often really funny! This book is a unique blend of fun, factual and autobiography! I wondered how the fun sciencey facts and personal twists would work, but it certainly does! I found myself getting excited about what I was reading and wanting to learn more, which would be perfect for younger audiences. Basically, what's on the inside is the important bit. Remember that.